Contact with the animals at UMB is now forbidden. 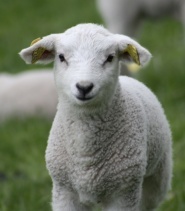 This is because bacteria that can lead to foot rot have been found in tests from one of the lambs. Bacteria that can lead to foot rot have been found in tests from one of the lambs at UMB. The bacteria was discovered after all the sheep and goats at UMB were checked. No classic symptoms of the disease have been found in any animals so far, but restrictions have been imposed on all contacts with sheep and goat herds at UMB. That is, all direct contact with these animals is forbidden. This is a popular time to visit the sheep and goat herds. The goats are currently kidding and lambing starts in a month. We ask everyone to respect the ban on going in to the animals and thereby risk spreading the infectious disease to other ruminants. The disease cannot be transmitted to humans. However, we ask that dogs are kept on a leash in accordance with the leash law as dogs can transmit the disease to other animals. Foot rot is a bacterial disease that has been found in 300 herds in Norway. The disease has been found in several countries including Sweden and Denmark. There is a movement in parts of Norway to map the existence of the disease and we are working to prevent foot rot getting a "footing" in Norway. More information from the Norwegian Food Safety Authority (www.mattilsynet.no).